Peter Ghany - Director, Scotiabank Foundation, presents the financial contribution for new steelpan equipment to Febeau Government Primary School’s Neil Simon - Music Teacher. 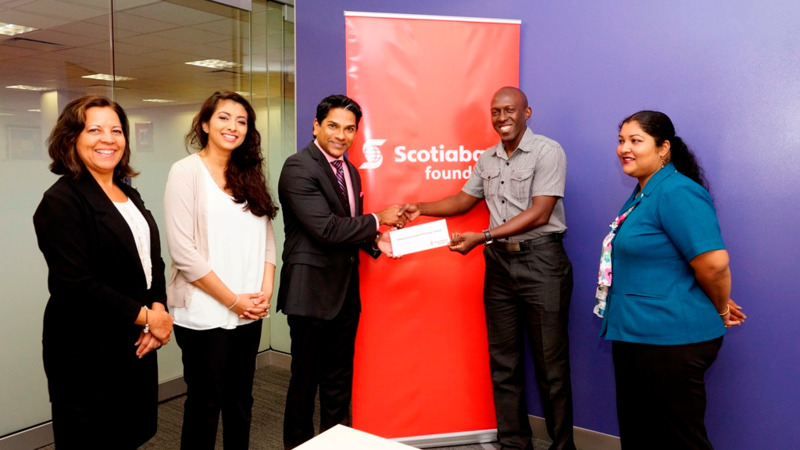 Also in the photo are L-R: Cheryl Hernandez – Scotiabank Foundation Support Officer, Kameel Baksh-Edwards – General Manager, Scotiabank Foundation and Ayesha Mustafa – Teacher, Febeau Government Primary School. Students at Febeau Government Primary School, San Juan will soon benefit from new steelpan equipment, following a donation of $100,000 from the Scotiabank Foundation. 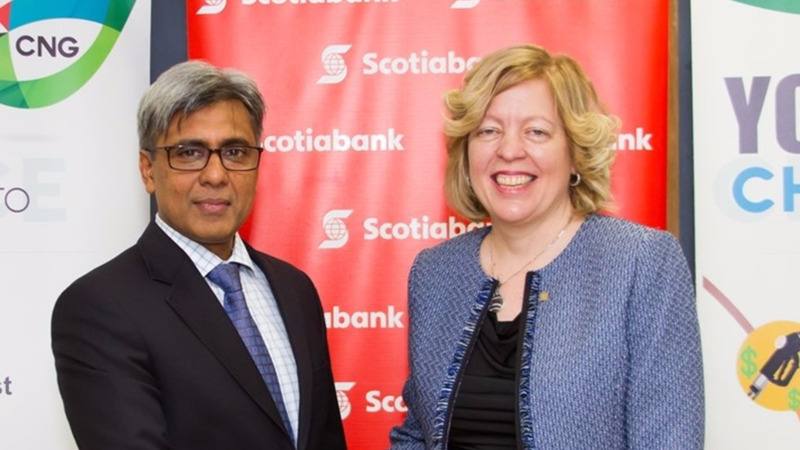 At the cheque presentation, Peter Ghany – Director, Scotiabank Foundation underscored the Foundation’s commitment to helping young people become better off. “The Scotiabank Foundation invests in our young people and communities in the areas of education, empowerment and environment. This donation helps us focus on two of these areas – education and empowerment. Steelpan Education in Primary Schools has many positive outcomes. Learning to play the steelpan plays an important role in opening doors to young children, helping them to discover opportunities that will help them become to reach their full potential, he stated. 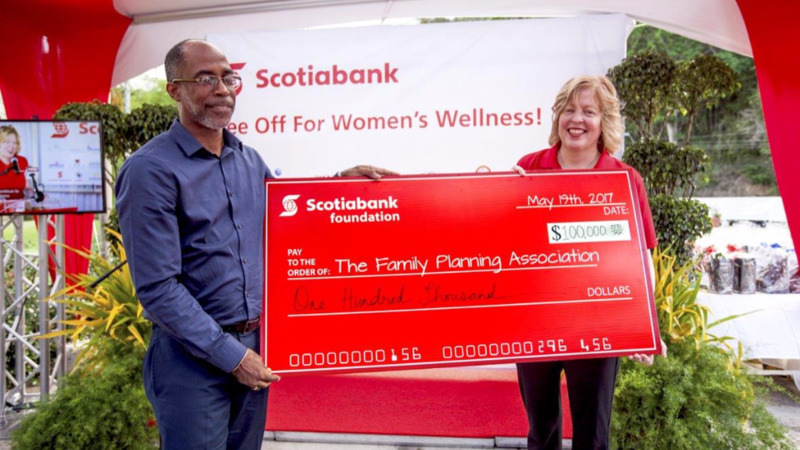 “Scotiabank has been supporting the promotion of the steelpan for the past 40 years” stated Kameel Baksh-Edwards – General Manager, Scotiabank Foundation. 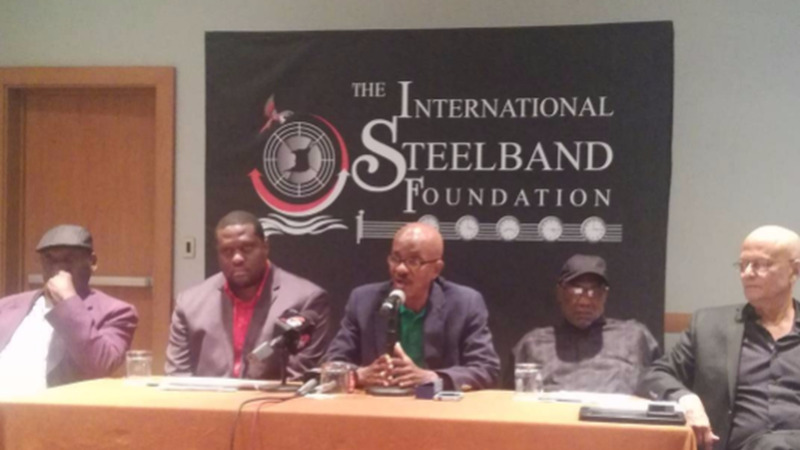 “Those contributions to independent steelbands during the Carnival season helps them continue in their thrust of fostering community spirit. The support of steelpan education for young students is a natural extension of our commitment to not only the rich culture of our country and the promotion of our national instrument, but also helping our young people lead better lives” she continued. Neil Simon - Music Teacher at Febeau Government Primary, praised Scotiabank Foundation for its foresight in this initiative and emphasised the positive role music can have on the life of his students “Music opened the door for me to pursue tertiary education studies in spite of a disadvantaged background and not having the required prerequisites after leaving secondary school…my path could have been very different, but I chose music” he indicated.